At the dawn of the twentieth century, the US-Mexico border was home to some of the largest and most technologically advanced industrial copper mines. This despite being geographically, culturally, and financially far-removed from traditional urban centers of power. 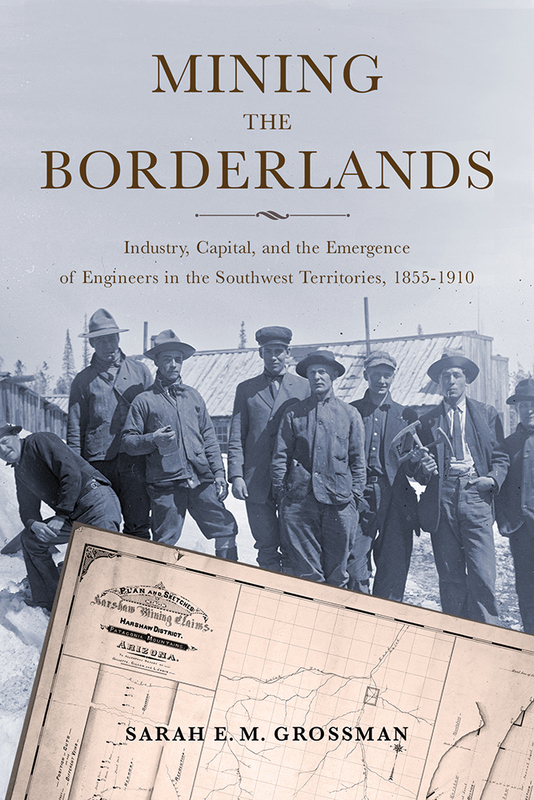 Mining the Borderlands argues that this was only possible because of the emergence of mining engineers—a distinct technocratic class of professionals who connected capital, labor, and expertise. Mining engineers moved easily between remote mining camps and the upscale parlors of east coast investors. Working as labor managers and technical experts, they were involved in the daily negotiations, which brought private US capital to the southwestern border. The success of the massive capital-intensive mining ventures in the region depended on their ability to construct different networks, serving as intermediaries to groups that rarely coincided. Grossman argues that this didn’t just lead to bigger and more efficient mines, but served as part of the ongoing project of American territorial and economic expansion. By integrating the history of technical expertise into the history of the transnational mining industry, this in-depth look at borderlands mining explains how American economic hegemony was established in a border region peripheral to the federal governments of both Washington, D.C. and Mexico City. Sarah Grossman is the editor of the Southeast Asia Program Publications imprint at Cornell University Press in Ithaca, NY. She received her Ph.D. in US history from the University of New Mexico.